The fictional continent of Westeros, from the hit A Song of Ice and Fire fantasy novels (and I guess there’s a TV show or something, too? ), is divided into seven kingdoms. Each of these is ruled by a “Great House,” or what we would call noble families. Lesser houses hold lands within the kingdoms, as well. What you may not realize is that each of these houses, great and small, has a sigil (or heraldic badge), usually derived from a local animal, to represent their house. And each has “house words,” a phrase that embodies their values. You might recognize these in business terms: a logo and a slogan. House words and sigils are a way of communicating their ideals, their principles and, dare I say it, their brand to the other houses and their own common folk. Some are very direct, some are more circumspect, but they all can teach us a few things about branding. The Stark sigil is a dire wolf, for two simple reasons: dire wolves are native to the North, which the Starks rule; and dire wolves are freakin’ awesome. This is an example of taking a key differentiator and using it to its fullest. A lot of animals are unique to the arctic regions, but the Starks didn’t choose penguins or seals, assuming such things exist in Westeros. They chose the awesomest, scariest animal. Just look at that picture! The direwolf is fighting a saber-toothed tiger over a mammoth. That’s an animal you want on your side. Think about what your company does best. What do you do that makes your customers love you, and your competitors fear you? Search for a pictorial way to represent that. The Stark house words are a little more indirect. You have to stop and think about them for a moment. Of course winter is coming; it’s always coming. But the phrase has implications—you must prepare for winter. Every time the character invokes these words, they’re stating much more than a meteorological fact. They’re telling you about their worldview, which is both world weary and forward looking. You know the purpose of your company; maybe a direct statement is not the best approach for your company’s slogan, and you instead want to give people something to think about. Lesson 1: Create a visual metaphor for what you do best. Then again, if your aim is to terrorize the populace, go ahead and focus on three-headed dragon. Lesson 2: Outshine your competitors, but be wary of making them dislike you. If you want to strike fear in the hearts of your competition, a lion is certainly a great choice. It’s all teeth and claws and terror. But unlike the more successful house Targaryen, house Lannister’s slogan words are far less awe-inspiring. What is a roar? It’s a sound. It’s not the actual threat that lions pose. It’s like saying, “Listen to me shout.” Obviously, they were trying to stick with the lion theme, which is a great plan, but you need to make sure that you’re using your logo and slogan to compliment each other in order to create something memorable. Remember another common saying in Westeros: “Words are wind.” You have to consider all the ways your slogan might be read. Are there negative connotations or implications that your competition might use against you? All of this is probably why the Lannisters decided to do a little re-branding. A “brand” is more than just your literal logo and slogan; they’re just the external representation of your brand. A brand is not only the look and feel of your company, but also the manner in which you present yourself and the way your clients (and competitors) view you. Unofficially, the Lannisters started using the phrase “A Lannister always pays his [or her] debts.” Now that’s a slogan! It’s got a double meaning—on the one hand, they’re telling you they’re reliable; they’ll pay you back what you’re owed. On the other hand, it’s a threat, if what they owe you is revenge. So, again, look for double-meanings in your slogan. If both meanings work for your company, all the better. And don’t be afraid to re-brand. If you repeat your new slogan often enough, it becomes the truth. Banksy said that, I believe. Lesson 3: Look for accidental double-meanings. Lesson 3a: If you ignored lesson 3, don’t be afraid to re-brand. Okay, this is just gross. Lesson 4: Don’t make your logo a dead guy. Every corporate culture is a different, and there’s no harm in being proud of yours. But you should also be mindful of the perception others have of you. 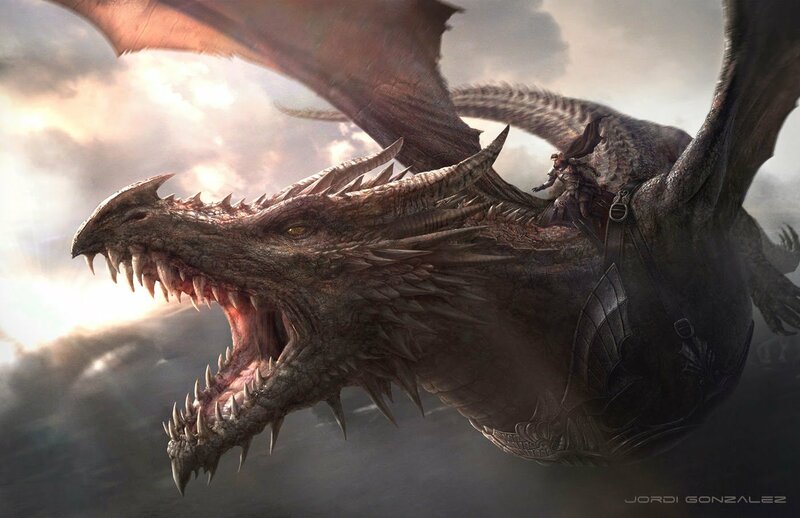 Like the Targaryen lesson above, the wrong corporate image can hurt your business. But in this case, it’s not the overt challenge to competitors, but the revulsion inspired in clients (i.e. vassal houses). A butcher doesn’t show how the sausage is made, whether it’s from long pork or the traditional kind. Some aspects of the way you do business are best left behind closed doors. Credit where it’s due, however—the Bolton house words are evocative without hitting you over the head. “Our blades are sharp” leaves an implied statement for the reader to fill in: “…so we can skin you like a potato.” You don’t expect that kind of subtlety from a house whose banner features a flayed man. Lesson 4: Don’t make your logo a dead guy. Be careful not to be too off-putting, if your work is little less than reputable.